You might want to speak to a number of homeopaths in your area before making an appointment, to find out their fees, availability and experience. 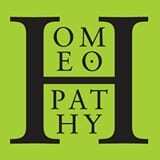 Although some homeopaths have a particular area of interest, please be assured that any one of them should be able to help you, as they are all trained to the same high standards and work with patients in treating the whole person. The Society of Homeopaths has a an exceptional circumstances policy relating to members’ names and practice details on the register. Please see further details below.